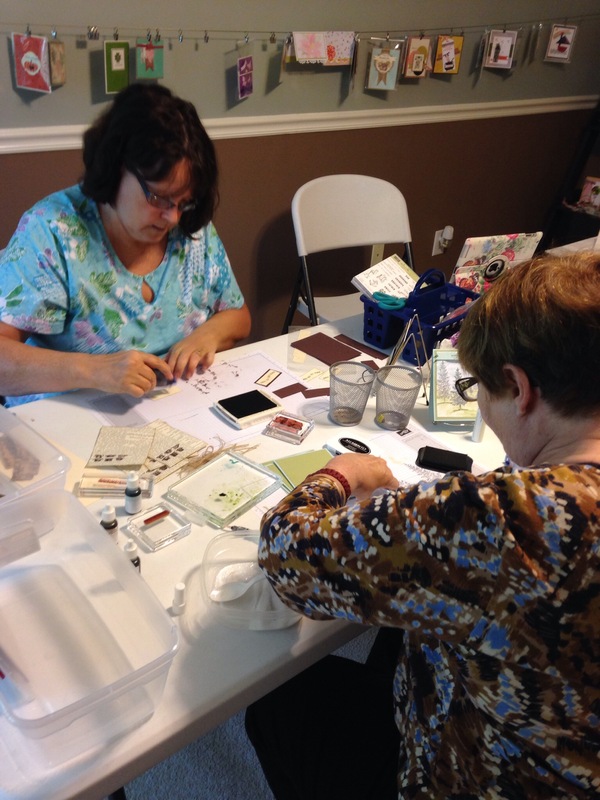 A Birdseye view into our Tuesday stamp class. Thank you Janice and Jeanette for your continued participation, and of course I’m always grateful that you help support my habit. I look forward to every class! 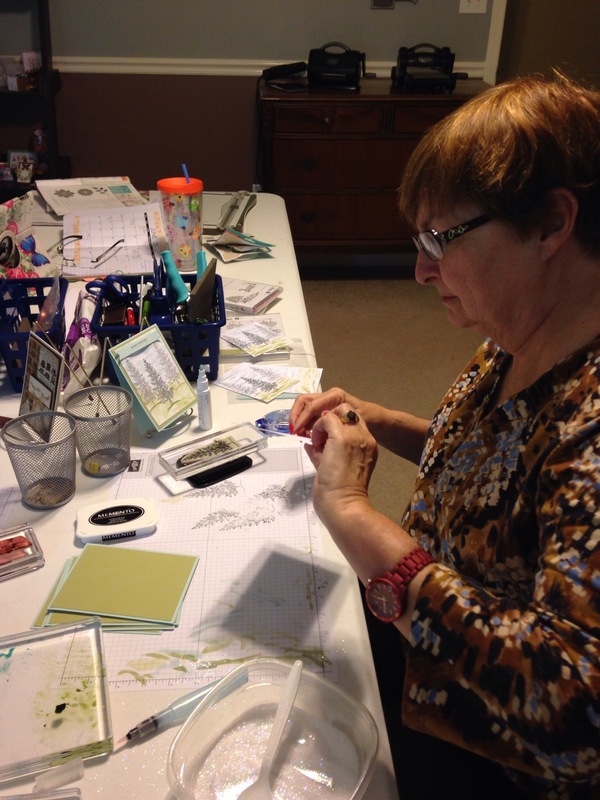 Janice, making the “lovely as a tree” Christmas card. Technique: alcohol coloring and stamping off, to create images in the distance. 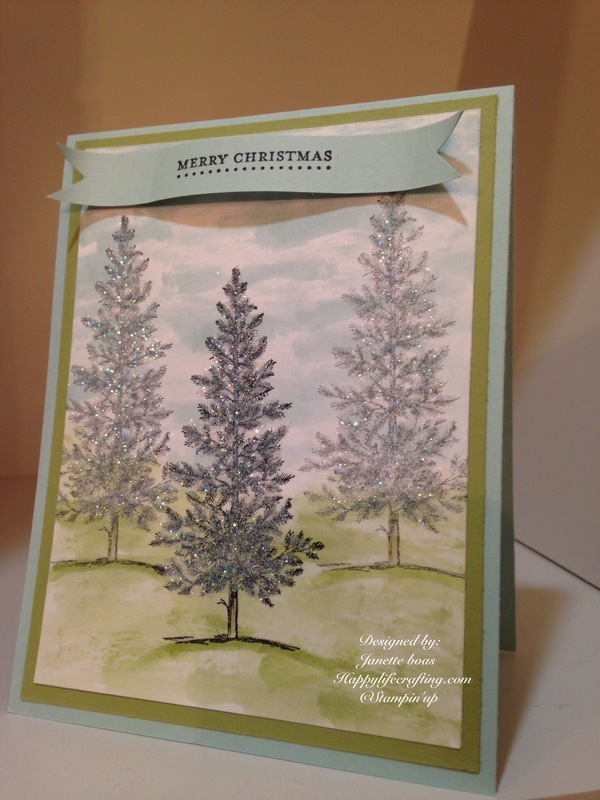 The Lovely as a Tree stamp set is the longest running, available stamp set in the history of Stamping up. It is known for its versatility in card making. Here it is being used to make a Christmas card, but works well for masculine, sympathy, fall and nature themed cards. It is one of my favs. Jeanette, working on the “guy greetings” card. Technique: stamping on burlap, creating layers stamping on printed paper, and customizing a photopolymer stamp. The Guy Greetings stamp set is awesome for making guy cards of any type, this includes, graduation, any celebration, birthday and Father’s Day. 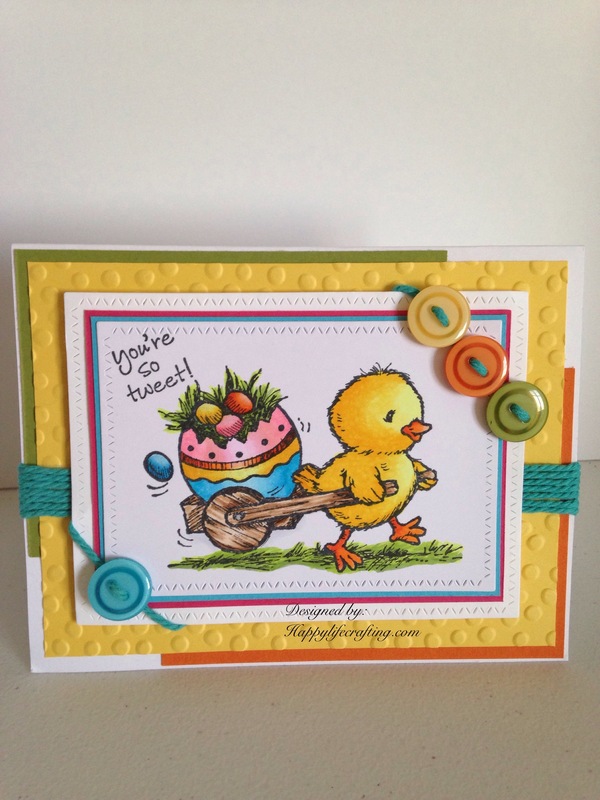 Both of these stamp sets are great staples to have in your card making supplies. It is always fun creating with these ladies! Please contact me if you have any questions…… You can visit my store to shop for either of these awesome stamp sets . Be happy ….and have a happy life crafting….